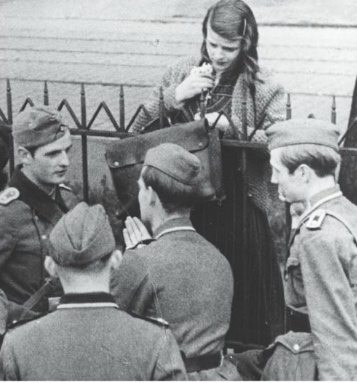 In 1943, a group of Munich University founded the White Rose Movement as a protest against Nazi tyranny. 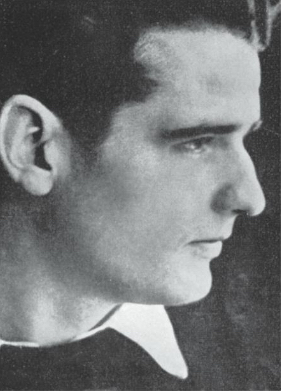 The instigator of the movement was a young medical student, and former soldier, Hans Scholl. A fervent anti-Nazi he had shown his sympathy for Jewish deportees by going into the railway yards, where they were packed into cattle trucks awaiting transport to concentration camps, shaking hands with them and offering what little help and comfort he could. He was joined in the Movement by his friends Christoph Probst, Willi Graf and Alexander Schmorell. 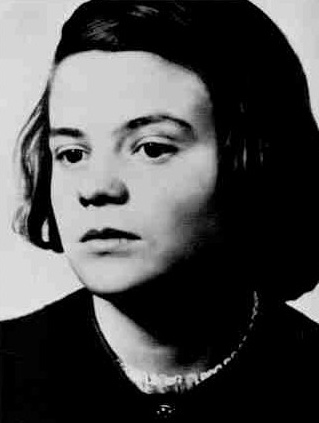 Hans’ 21-year-old sister, Sophie, who joined them a little later, helped by distributing anti-Hitler leaflets around Munich. The Gestapo were less likely to suspect, stop and search a pretty young woman than a man. Despite her Lutheran Christian upbringing, Sophie was initially indifferent about the rise of Fascism. At the age of twelve, she even joined the League of German Girls, a Nazi cover organisation and was soon promoted to Squad Leader. In 1934, after the passing of the Nuremberg Laws, discrimination against the Jews sharply increased. Two of her Jewish friends were barred from joining the League of German Girls. This led to Sophie developing a far more critical attitude to the regime. 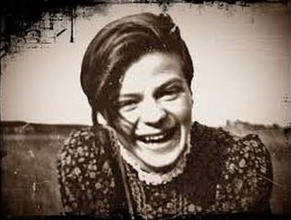 In May 1942, she enrolled in the University of Munich to study biology and philosophy. Founded in 1942,The White Rose Movement was an informal group of young people opposed to the war and Nazi regime. A short while later, Munich citizens were startled to find graffiti, with the messages ‘Freedom’ and ‘Down with Hitler’, daubed in large white letters on buildings in one of the main streets. 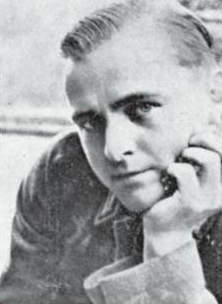 On 18 February 1943, Jakob Schmidt, a local Nazi party member, read one of their leaflets and reported them to the Gestapo. Sophie and Hans were arrested on charges of High Treasons. During interrogation her leg was broken. After just four days of brutal questioning she and her brother were sent for trial before the notorious judge Roland Freisler, President of the People’s Court of the Greater German Reich. 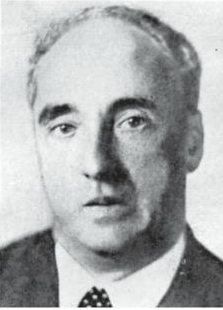 As I mentioned in a previous blog, Freisler was an ardent Nazi who presided over his court with a manic intensity. He shouted down defence lawyers, screamed at the accused and roared denunciations of his own against at those before him. Despite the court’s hostility, and the pain she was in, a defiant Sophie told the judge: ‘Somebody, after all, had to make a start. What we wrote and said is also believed by many others. They just don’t dare express themselves as we did.’ After a brief trial, during which no defence witnesses were called, the judge passed sentences of death by guillotine on both brother and sister. He ordered that they were executed early the following morning. On the scaffold, Sophie’s told the assembled witnesses: ‘How can we expect righteousness to prevail when there is hardly anyone willing to give himself up individually to a righteous cause. Such a fine, sunny day, and I have to go, but what does my death matter, if through us, thousands of people are awakened and stirred to action? Before being guillotined, Hans Scholl called out ‘Long live Liberty!’ His cry of defiance echoed throughout the prison. Later executed were Willi Graf and Alexander Schmorell. Both had served on the Eastern Front and been shocked at what they had seen there of the barbarity against the Jews. 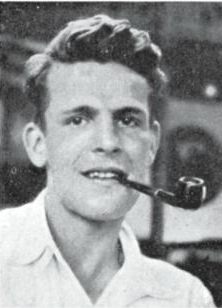 The White Rose Movement had been encouraged and supported by Kurt Hüber, (below) a professor of philosophy at Munich University, who shared their anti-Nazi views. He too was arrested and killed. In cases such as these, the Nazis would typically arrest other family members. 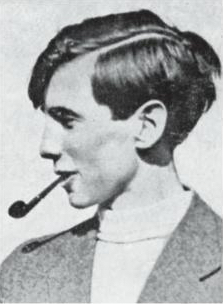 Although never part of the The White Rose movement, Inge Aicher-Scholl, elder sister of Sophie and Hans, was taken into custody and sentenced to six months behind bars. In 1946, Inge set about educating young Germans about the crimes committed under Hitler. She started by constructing a school room on a vacant plot of land, using rubble from bombed buildings which she carried to the building site on her bicycle. Such was the scarcity in Germany at that time, that on dark days she would hand teachers a light bulb, at the start of their lesson, which had to be returned as soon as class was over. In 1953, she and her husband, Otl, opened a College of Design in Ulm to carry on the Bauhaus tradition, which had been destroyed by the Nazis. Otl was killed in a car-accident a few months before her own death on 4 September 1998. Although famous within Germany, where Sophie’s life has been made into a film, the defiance of The White Rose Movement students and their academic supporters is little known outside the country. Their courageous actions deserve to be remembered by all who cherish freedom and fight against dictatorships.